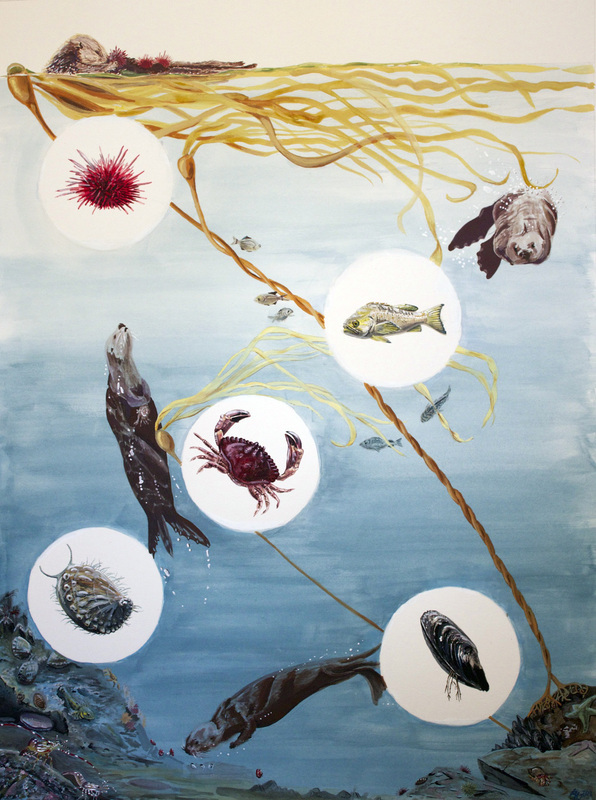 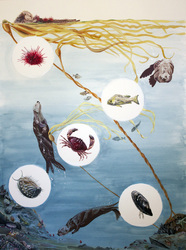 Schematic of sea otter foraging behavior in kelp forest environment. Northern Sea Otters (Enhydra lutris) consume 25% of their bodyweight daily and can eat over 100 different species of invertebrate. 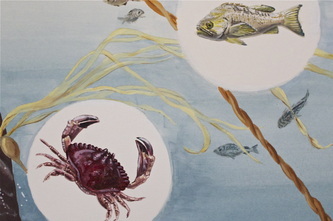 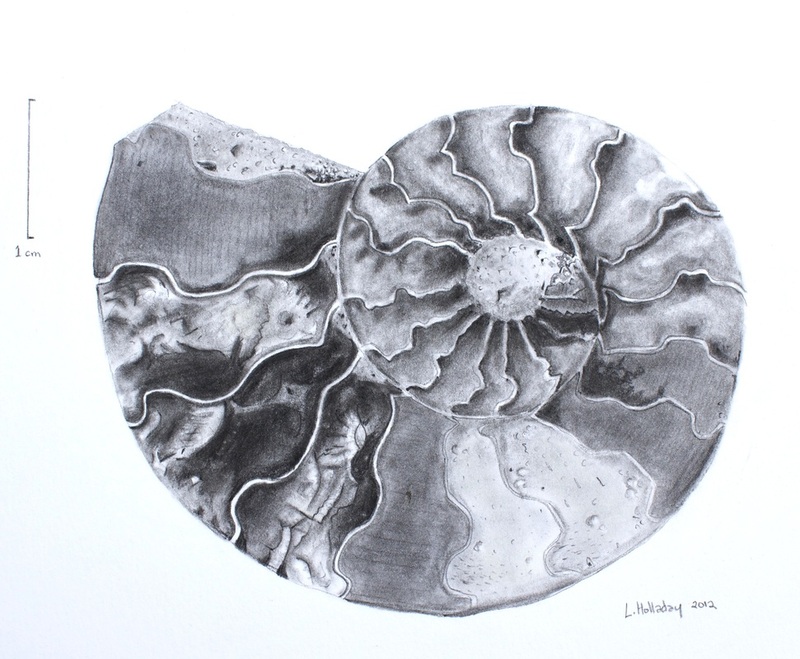 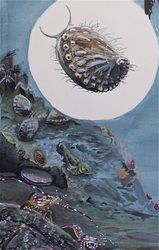 Included here in detail are red sea urchin, yellow tail rockfish, dungeness crab, northwest mussel, and pinto abalone. 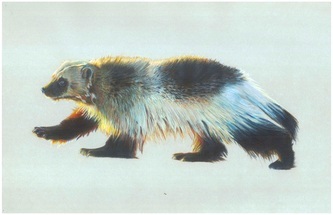 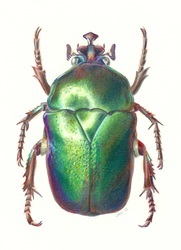 Color pencil illustration of a wolverine. 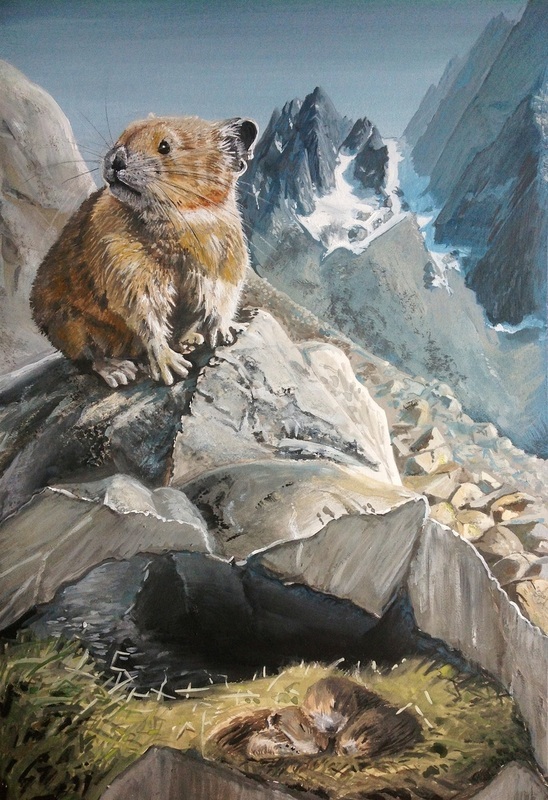 Reference material generously provided by Igor Shpilenok. 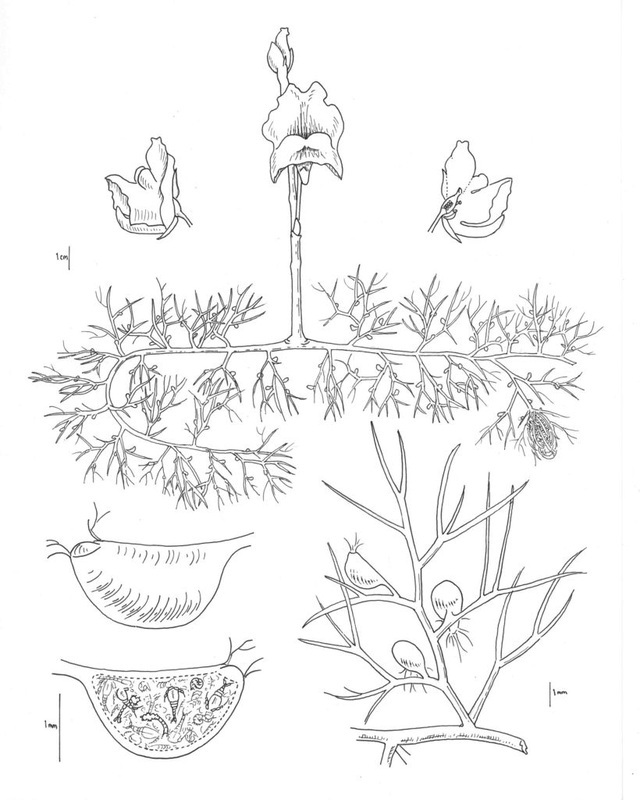 Common Bladderwort (Utricularia vulgaris) is a carnivorous, aquatic plant found throughout the Pacific Northwest. 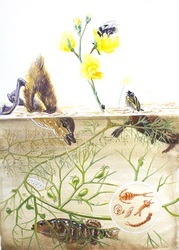 Illustrated here in gouache is the plant's role in the pond ecosystem. 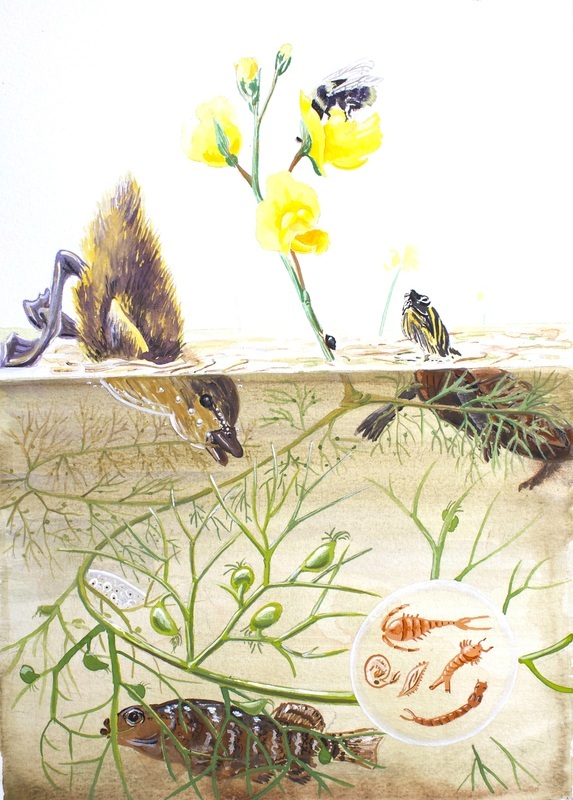 Bladderwort feeds on invertebrates including insect larva and daphnia, shelters snails, fish and frogs, and provides food for turtles and water fowl. 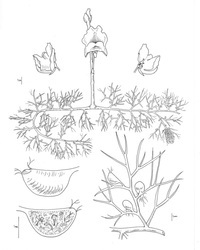 Pen & ink plate illustration of Common Bladderwort including flower, dissected flower, stolon & leaves, bladder and dissected bladder. 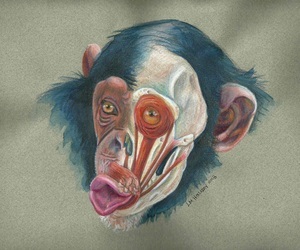 The layers of anatomy illustrated here in gouache and color pencil give rise to complex facial expressions of the chimpanzee (Pan troglodytes), human's closest living relative. 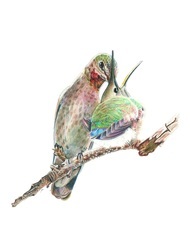 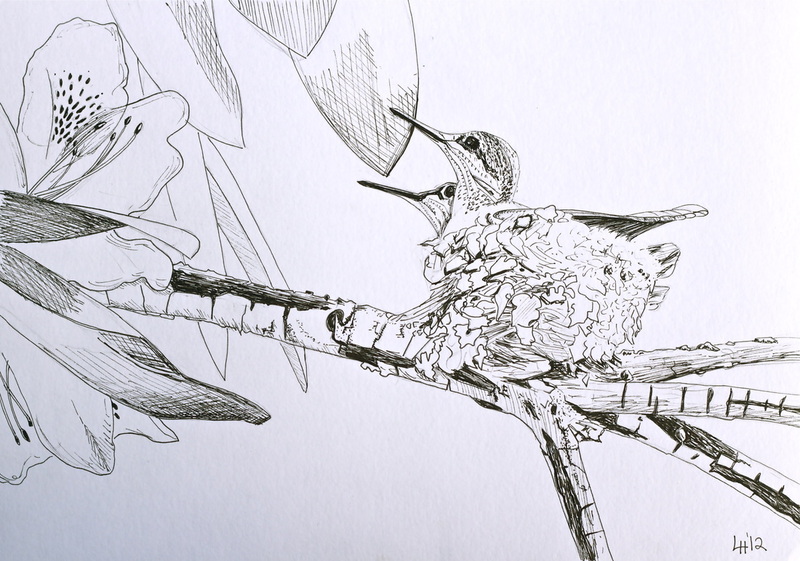 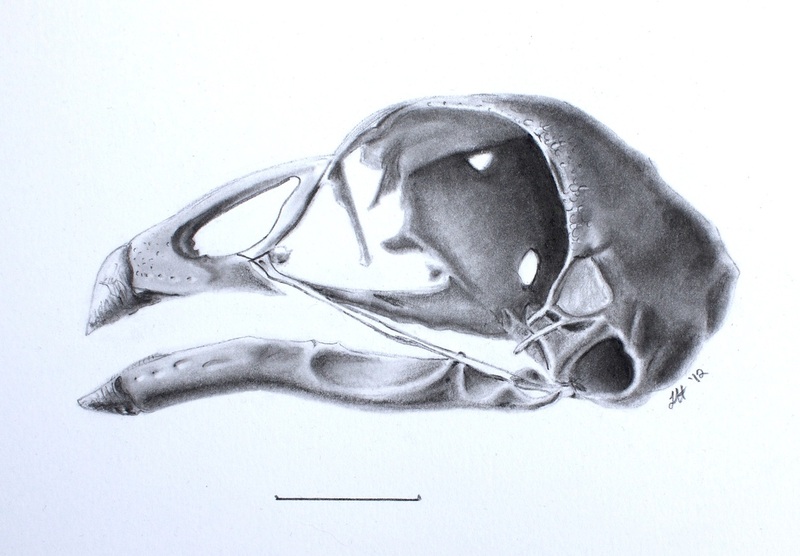 Pen & ink illustration of hummingbird babies in their nest made of spider web and moss. Anna's Hummingbird (Calypte anna) feeds insects to her three-week-old fledgling.